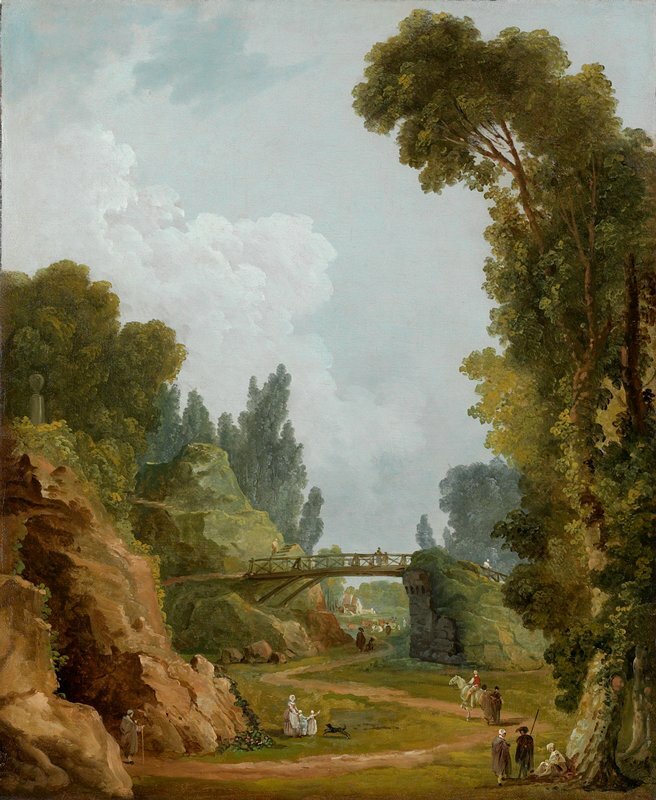 Château de Méréville, one of the first English-style parks in France, was designed by Hubert Robert for the Marquis de Laborde, who purchased the estate in 1784. The plans for the chateau's gardens combined the naturalism of English landscape design with Chinese-influenced structural elements, representing a complete break from the traditional symmetry and rigid geometry of French landscape architecture. Over the course of a decade, marshes were drained, a mountain was moved, and a river was rerouted and shaped into a sinuous, winding course in order to create an idealized, romantic retreat.